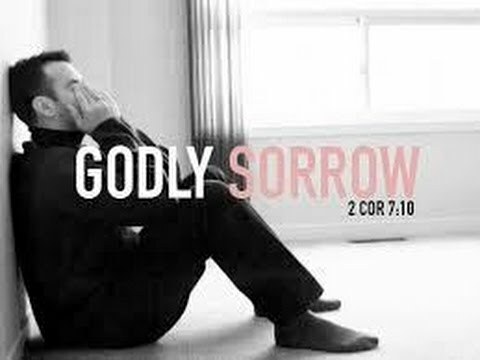 Godly Sorrow | ". . . let God be found true, though every man be found a liar." We often speak of the distinction that Paul made here as godly sorrow versus worldly sorrow. Worldly sorrow is indeed sorrow, and may even be remorse, but it is not based upon a penitent heart that is resolved not to sin in the same way again. This is why Paul said that worldly sorrow produces death. A person who is sorry in this manner has not changed his views about sin, and thus is likely to return to his sinful behavior once the furor dies down. Such a person is destined for eternal condemnation, which is the death of which Paul spoke. In contrast to this, however, godly sorrow leads to a penitence that is based upon recognition of the ugliness of sin, and a resolve not to repeat it again. In the case of the church in Corinth, their sorrow over Paul’s condemnation of their sins led them to change their attitude about those sins. The sternness of Paul’s first letter caused them great sorrow. No doubt they were cut to the heart by his words, but instead of rebelling further against his teaching, they took his teaching to heart and renewed their commitment to the Lord. The result was that they were a much better church, and Paul could rejoice about the change (2 Cor. 7:9). In the New American Standard Bible, quoted above, the translators supplied the words “the will of” between the words “according to” and “God” in vs. 9-10. Their reason for doing so was to make sure the readers understood that this is the kind of sorrow that God wants mankind to have. In 2 Pet. 3:9 Peter said that God does not wish for any to perish, but for all to come to repentance. In other words, it is God’s will that each sinner become convinced of the folly of sin, and turn away from it, and turn back to Him. Every time sorrow leads one to turn away from sin, and to turn back to God, His will is being accomplished by that action. King David of Israel captured the spirit of godly sorrow in Psa. 51, which he wrote in the aftermath of his sin with Bathsheba. In Psa. 51:17 David said, “The sacrifices of God are a broken spirit; a broken and contrite heart, O God, You will not despise.” The word “contrite” in this verse means to feel or to express remorse or penitence. This is the essence of godly sorrow. When we have godly sorrow we are not only sorry over the consequences of our sin, we are sorry that it happened in the first place. We are so sorry that our earnest desire is that we will not do such a thing ever again. This is what true penitence is. The simple truth of human life is that we all sin and fall short of the glory of God (Rom. 3:23). Even Christians sin, as the church in Corinth so amply illustrates. However, if we have godly sorrow every time we sin, our gracious Father in heaven will forgive our sins, and cleanse us from all unrighteousness (1 Jn. 1:9). He understands our weakness because His Son experienced life just as we do, yet without sin (Heb. 4:15). For this reason, if we have godly sorrow over our sins, our souls will remain safe in the hands of our Lord Jesus.